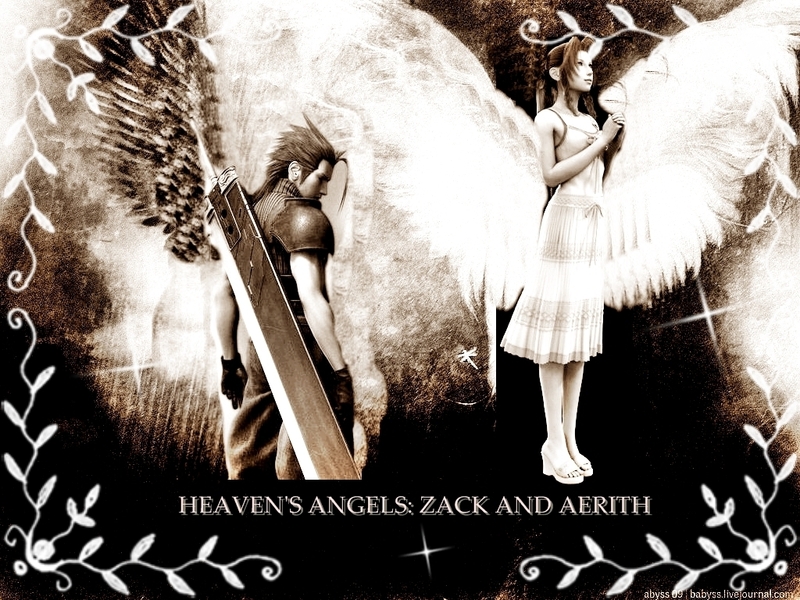 heaven's angels: zack and aerith. . HD Wallpaper and background images in the Final Fantasy VII club tagged: final fantasy vii advent children aeris zack. This Final Fantasy VII wallpaper might contain abattoir, butchery, shambles, and slaughterhouse.